Two of the most interesting topics in the tech world today are edge computing and artificial intelligence/machine learning. Separately, they’re each making profound impacts on both consumers and businesses in everything from smart speakers to automated factory production lines. Even more intriguing, however, are applications that combine edge computing and machine learning (ML) to enable new kinds of experiences and new kinds of opportunities in industries ranging from Mobile and Connected Home, to Security, Surveillance, and Automotive. Products that combine these two technologies can leverage the local compute and storage capabilities of new types of edge devices, and perform a variety of actions on their own. This can save time, improve privacy, reduce network traffic, and enable applications or devices to be optimized for specific environments. The basic concept behind edge computing is the idea of distributing computing intelligence across an entire network instead of centralizing it in the cloud. In a similar manner to the historical transition from mainframes and dumb terminals to a world of powerful, independent PCs, we’re starting to see some of the centralized cloud computing services get distributed out to independent devices that sit out at the end, or edge, of a network connection. Practically speaking, this means that, for example, instead of having a security camera stream the content of its video feed up to the cloud to be analyzed for certain situations (unknown people, objects, etc. ), that analysis can start to be done within the camera itself. In many cases, a cloud-based analysis may still occur, but it’s likely to be on a much smaller segment of the video data. The benefits of this approach are many. First, it dramatically reduces the amount of data that has to be sent over the network, thereby reducing network congestion, speeding up operation and, in many instances, reducing costs. In addition, the performance is typically much better because the processing can be done in real-time within the camera, and avoid any potential latencies or other delays that can occur across any type of network connection. In the case of surveillance, real-time analysis can make the difference between safety and disaster! Arguably, this type of computing division of labor could have been done in the past, but the critical elements that are enabling these applications now are new types of ML algorithms and specialized computing components, such as visual processing units (VPUs). 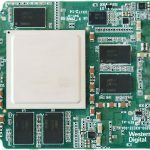 These new types of specialized AI chips are starting to be introduced to the market by big tech industry vendors, as well as many smaller startups eager to make their mark on this new opportunity. Another interesting development in specialized computing is the open ISA (Instruction Set Architecture), RISC-V. As Western Digital’s CTO, Martin Fink, describes, RISC-V provides another option beyond traditional general purpose architectures, such as x86 or Arm®. With RISC-V you can customize the instruction set for specialized or extreme application demands, such as AI/ML. In the case of the surveillance example above, you could dramatically reduce the amount of data (video frames) that need to be sent to the cloud by designing the application and specialized processor so that only video frames exposing significant changes are sent to the cloud. That AI is done right at the device level. Together, the new AI and ML-focused semiconductor components and the new AI/ML algorithms—along with the speedy, low-cost local storage offered by flash memory—are allowing tasks that use to require the raw computing horsepower of the cloud to be done in a more refined and more focused way on edge devices. While it’s easy to overlook, the storage capabilities of edge devices can be critically important in many applications because of the enormous amount of data that sensors being used in these situations can generate. The applications for AI/ML at the edge go well beyond security and surveillance. In the consumer world, features like facial recognition or iris recognition on the latest smartphones are other examples of machine learning that are independent of the cloud. Modern phones with these features are trained to “learn” specific details of your unique identity through their setup process. Machine learning algorithms running locally on the phones then verify your identity every time you sign into your device. The local operation of these efforts is essential for many reasons. First, smartphones are used in all kinds of environments where connectivity can’t be guaranteed. Second, the sign-in process occurs frequently so needs to be as fast and frictionless as possible. Finally, data privacy and security concerns associated with biometric data make it extremely important to only use the data locally on the device and not send it out over a cloud connection. Autonomous cars are another emerging application for machine learning at the edge. Given the highly dynamic and real-time nature of driving, these vehicles need to react to changes in the environment around them, regardless of the connectivity the car has at any given moment. 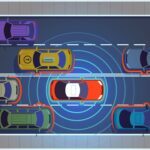 In order to do that, autonomous cars are incorporating huge amounts of computing power to run applications that “fuse” sensor data from on-board cameras, radar, lidar and other types of data. This, in turn, demands a great deal of fast storage to manage this data. In addition, many autonomous cars leverage large, constantly updated high-resolution map files as yet another source of information to guide their real-time reactions. In addition to independent devices, we’re starting to see applications where data from several different devices can be logically organized and then used to trigger other actions that are “learned” from our normal behaviors. For example, in sophisticated smart home environments, it’s possible to use the GPS data from your smartphone or connected car to trigger the smart thermostat to the setting you like when the system recognizes you’re approaching your home. Using visual recognition, some new smart locks in conjunction with smart doorbells can also recognize you, unlock the front door, trigger the lights and even start playing music—all automatically. Individually, none of these tasks are particularly difficult, but the combination and coordination among these different edge devices makes for a transformative experience. In the commercial world, applications like predictive maintenance are extremely important in many industrial environments. Machines being used on production lines or in process manufacturing need to be constantly monitored to ensure that they continue functioning or the entire factory line can be stopped, costing organizations millions of dollars in many cases. By leveraging machine learning algorithms on edge computing hardware that’s physically near these critical machines, companies can look out for potential warning signs and do scheduled maintenance to avoid unexpected, and costly, surprises. In the business world, we’re just starting to see interesting applications of machine learning on the edge in industries like retail. Some cutting-edge stores are starting to offer the ability to do things like try on clothes or makeup virtually by leveraging cameras and augmented reality-type applications to let potential customers quickly see how different color combinations, patterns, fabrics and much more look on them via monitors or smart mirrors. Instead of having to go through the typically slow and sometimes tedious process of physically trying out new options, these new computer vision-based, machine learning-driven services are enabling consumers to find what they want and stores to complete sales more quickly than they have in the past. We’re just at the beginning of the machine learning on the edge era and we’re bound to see a lot more interesting and creative applications for both consumers and businesses pop up over the next few years. Even now, however, it’s clear that there are some very exciting new experiences that can be enabled by combining these formidable new technologies.